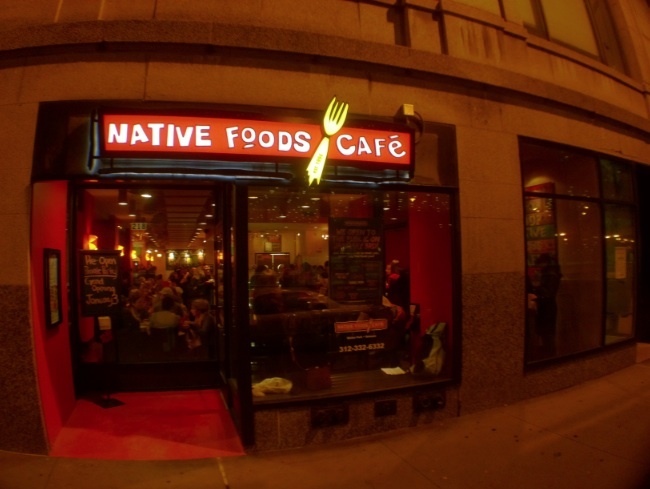 Last night was the pre-opening of Native Foods Cafe in the Loop! 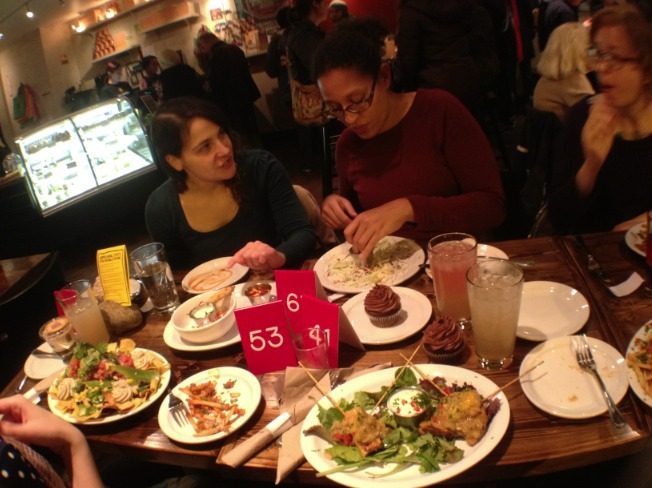 Mrs. Fakie and my crew of lady friends got on the guest list and gorged ourselves on some of the most delicious Vegan eats in the Windy City. Nachos, Chili Cheese Fries, Seitan Kabobs, etc. I attempted to eat ALL the foods and subsequently was rolled home. Since Chicago’s Loop is a veritable skate park, this makes Native Foods the newest addition to the Skate Snacks list. Just look at this map! 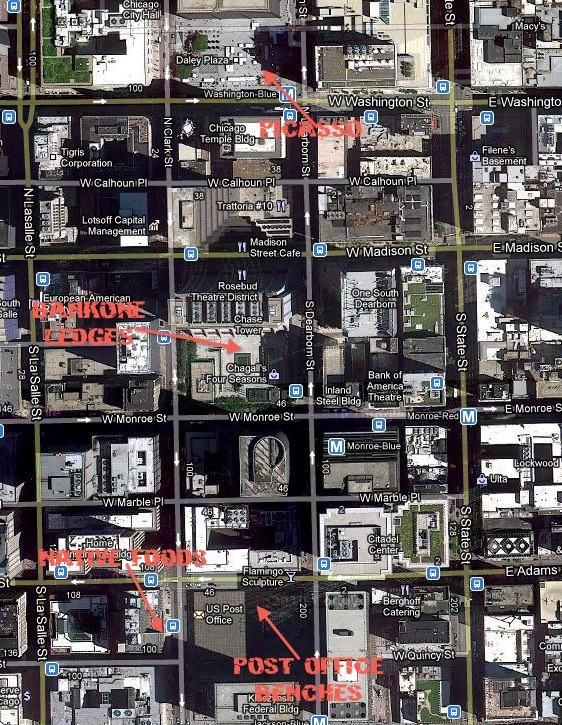 Located at 218 South Clark Street, with the friggen Post Office across the street, you can skate till you need till exhaustion then go refuel! So psyched that they finally opened and its the last post of the year. Officially Native Foods Loop opens on January 3rd. But if you can’t wait, go check out their other locations. 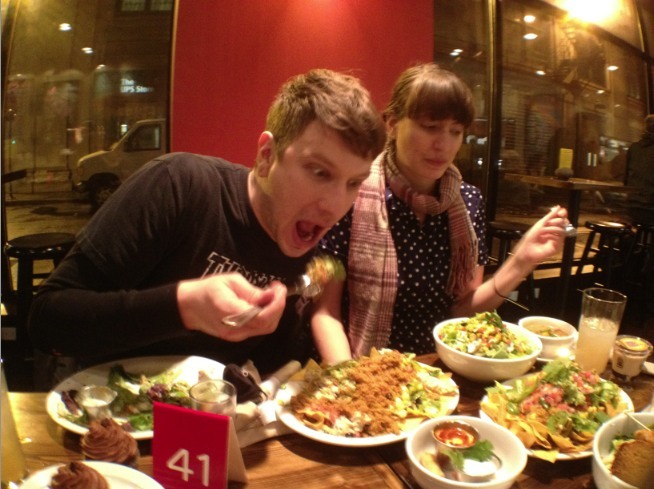 i will tell my friend who lives in chicago to go support that place, and send me pictures of the food so i can be jealous.